The job of the records manager is to properly maintain all of the information of an organization, no matter what the format. 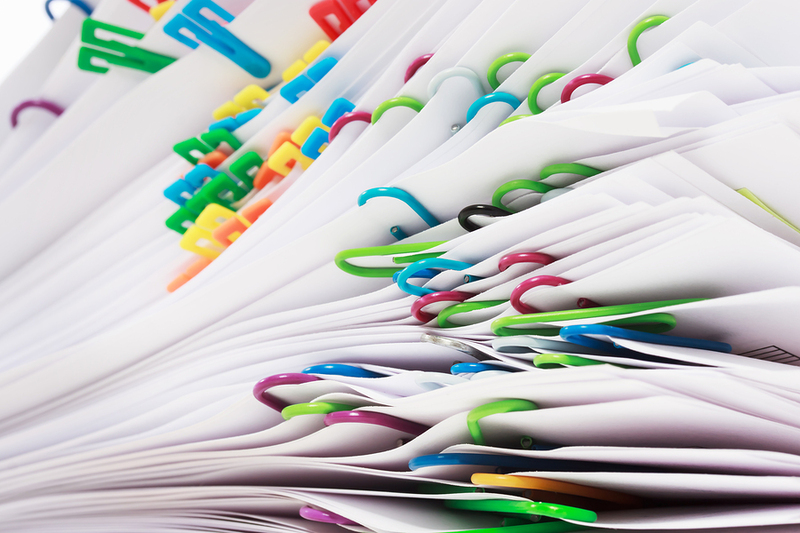 A good records management program must account for both paper records and electronic records. The problem for every records manager is that both formats have unique benefits and challenges that must be taken into account. It is unlikely your organization can move all information to just one format anytime soon. The problem with paper records are that they are harder to share. To give access to other people you must make a copy or create a digital version. This is not an efficient process for geographically diverse organizations or for sharing records outside of the organization. A good example of this need is with electronic medical records (EMR) at a medical practice. Changes to electronic records are much harder to track. The record will often be stored on shared data bases where multiple people can edit them. The solution is to keep records in a records management system and not just on a shared drive. This allow the records manager to keep version control. Once an electronic record is printed off it becomes a paper record. If this process is followed by multiple people they may all own different versions. It is important to identify that the original remains the digital version. The good part of electronic records is the ease of sharing information across distance and multiple organizations. This is way there is a push by many organizations to move to electronic records. Chief among these is healthcare. Our network of scanning service professionals have extensive experience in helping businesses of all sizes migrate to a paperless office or digital filing system. We use proven methods combined with the latest scanning software and equipment to help create a very useful document management system that will change the way you do business. Record Nations is here to help records managers with both paper records and electronic records and every stage in-between (scanning). To get started, fill out the form to the right, or give us a call at (866) 385-3706. Within minutes of receiving your request, you will have free quotes from experts in your area that can help you.